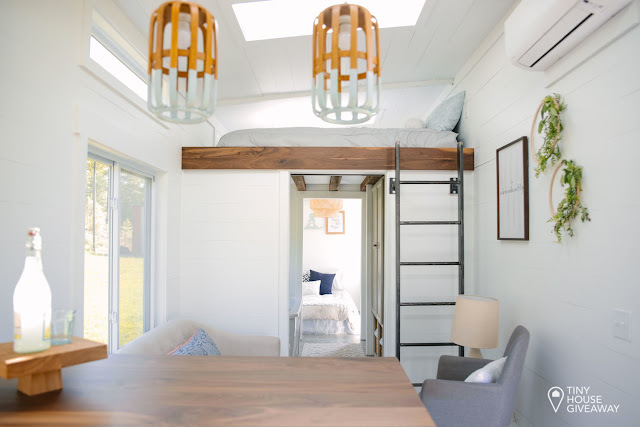 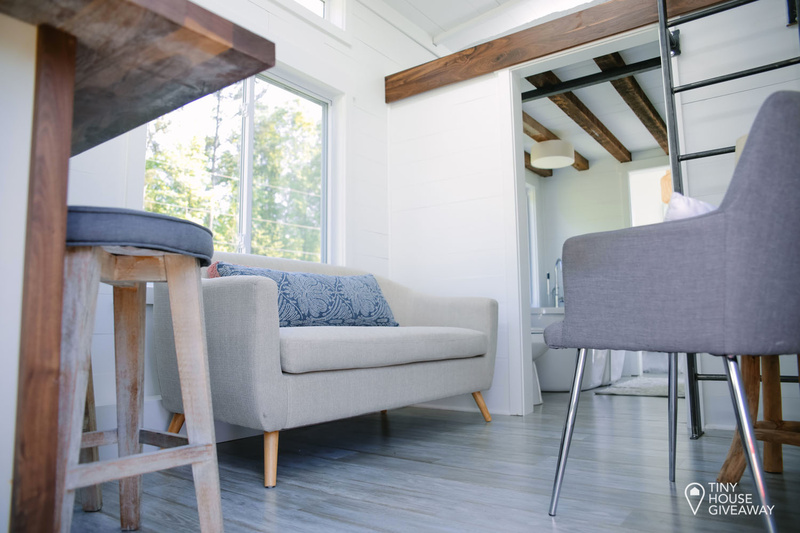 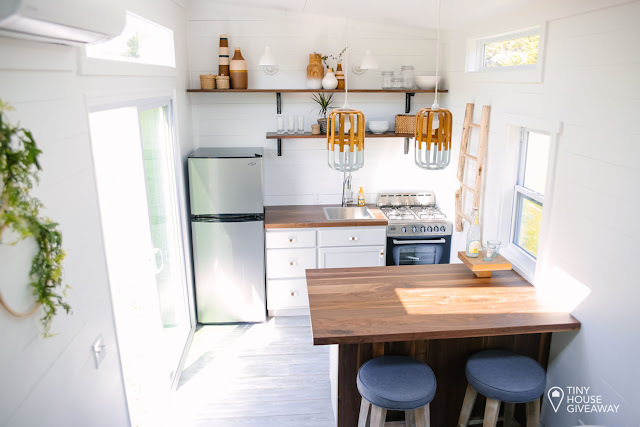 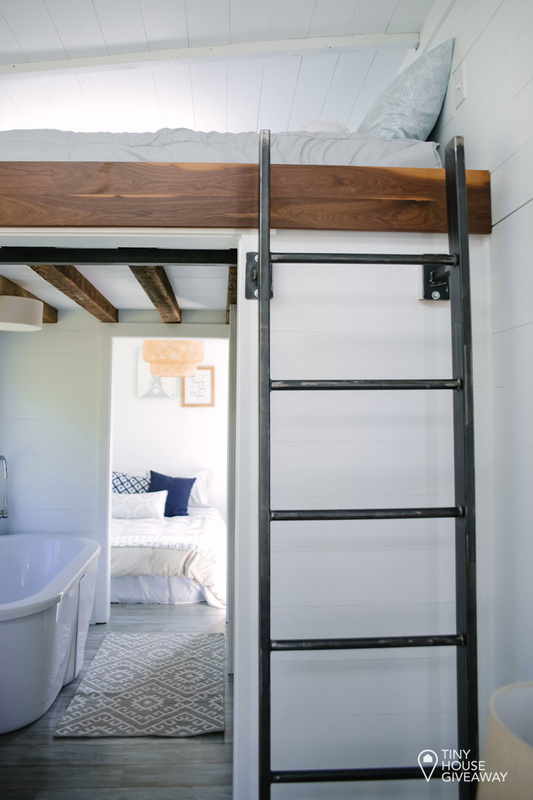 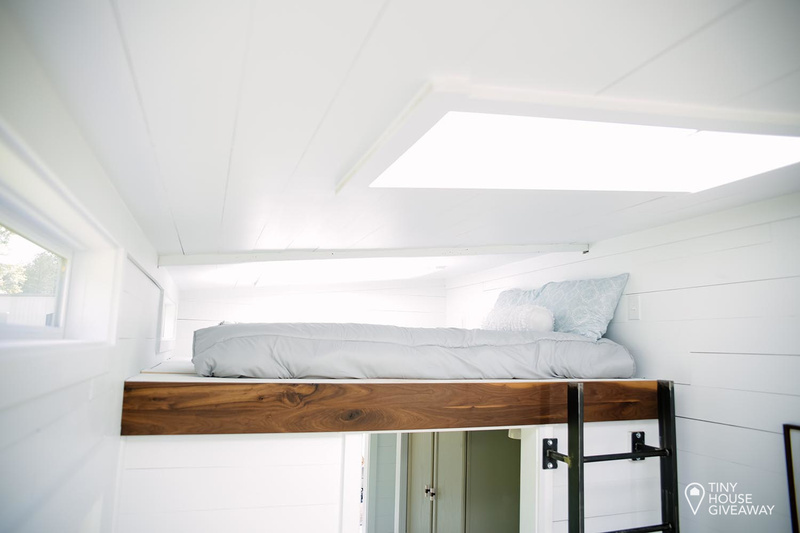 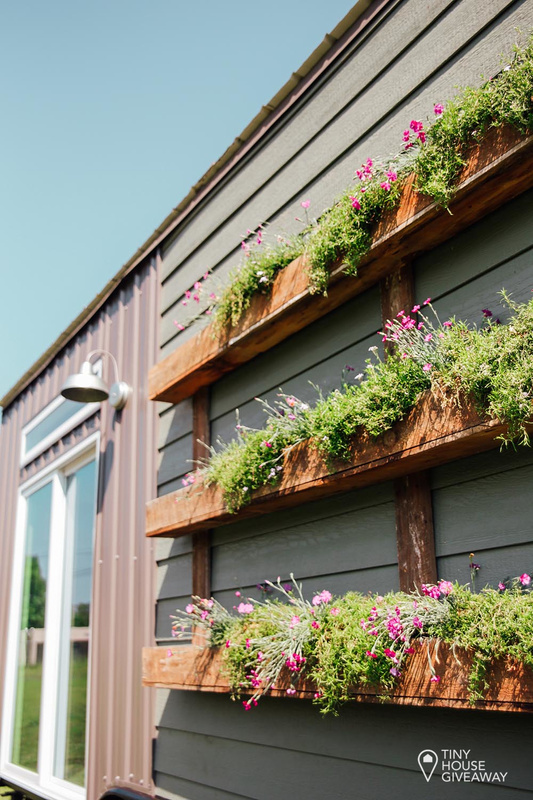 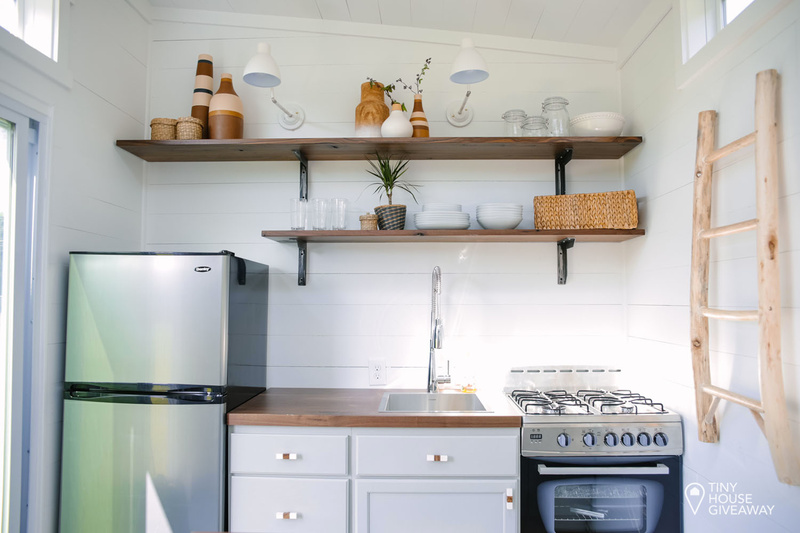 This gorgeous tiny house was part of the third Tiny House Giveaway. 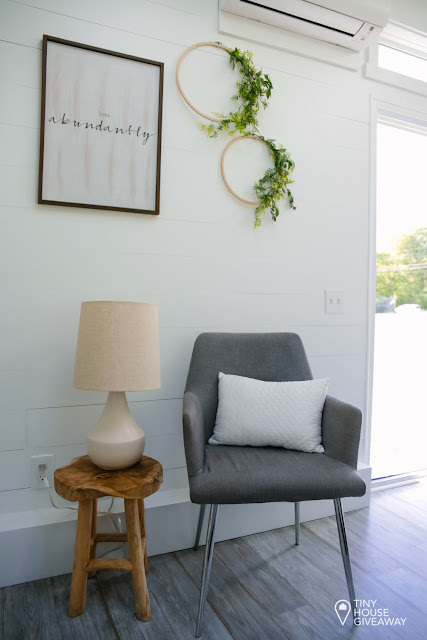 Designed by April and Brian Preston, the home was raffled off with proceeds going to benefit Help One Now to build a village in Peru. 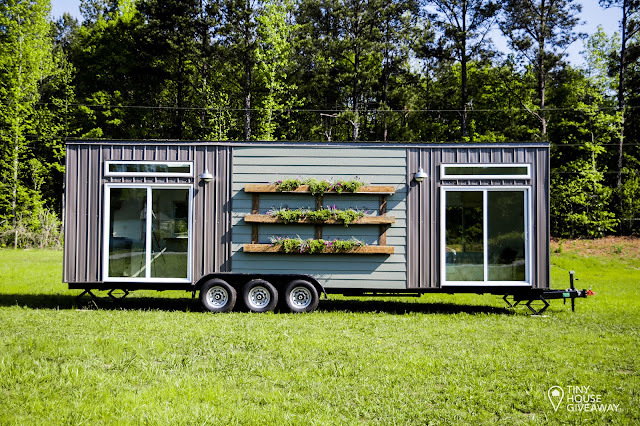 The home has a little less than 350 sq ft of space inside and weighs under 12,000lbs. 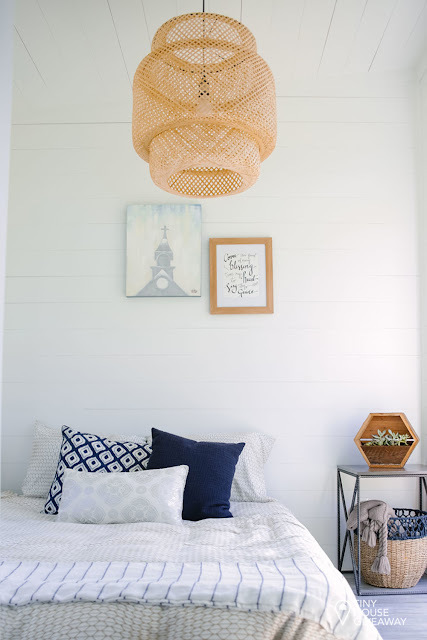 Inside are shiplap walls throughout with three skylights to keep the home well illuminated with sunlight during the day! The kitchen comes equipped with a four-burner stove and oven, a stainless steel fridge and sink. 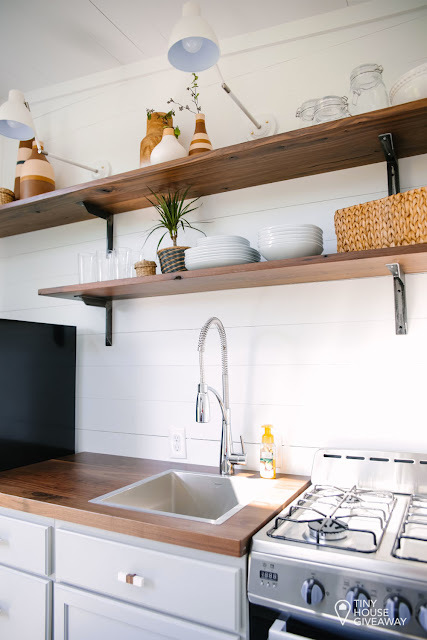 There's also an island, countertops, shelving, and cabinets- all made of walnut. 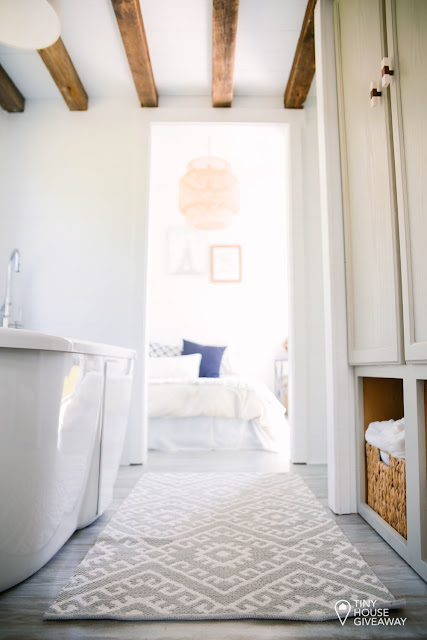 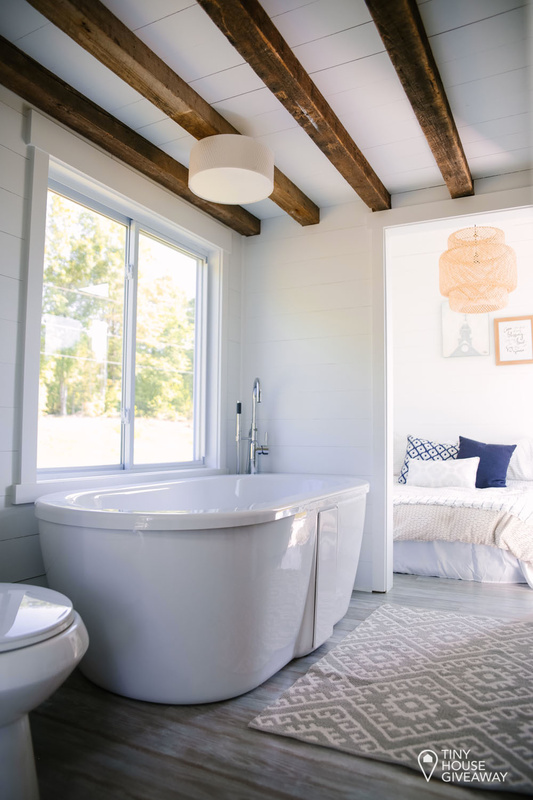 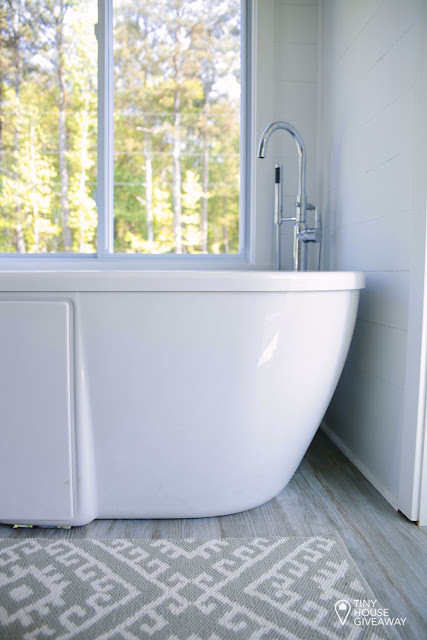 Additional cool features of the house include a soaking tub in the washroom and exterior garden boxes made of reclaimed wood! 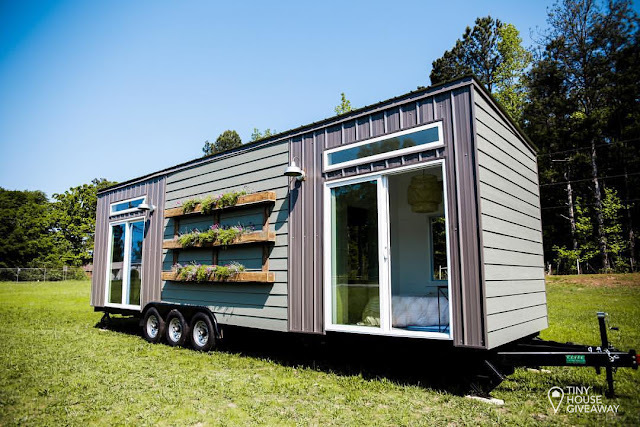 You can see past tiny homes from other tiny house giveaways here!